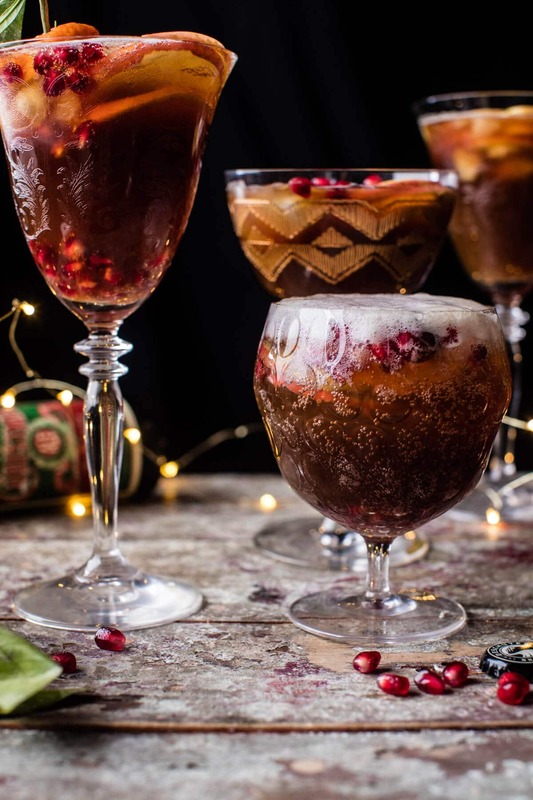 Better known as a super fancy way to drink beer…Christmas style! I’m not sure if any of you are familiar with Great Lakes Brewing Company’s Christmas Ale, but if you live in Cleveland Ohio…aka “The Land”, then you know it’s a Christmas tradition. Everyone has to drink some Christmas Ale at least once during the holiday a season, it’s just a must. I’ve had this drink in my back pocket for months now and I am so excited to finally share it…like so excited. 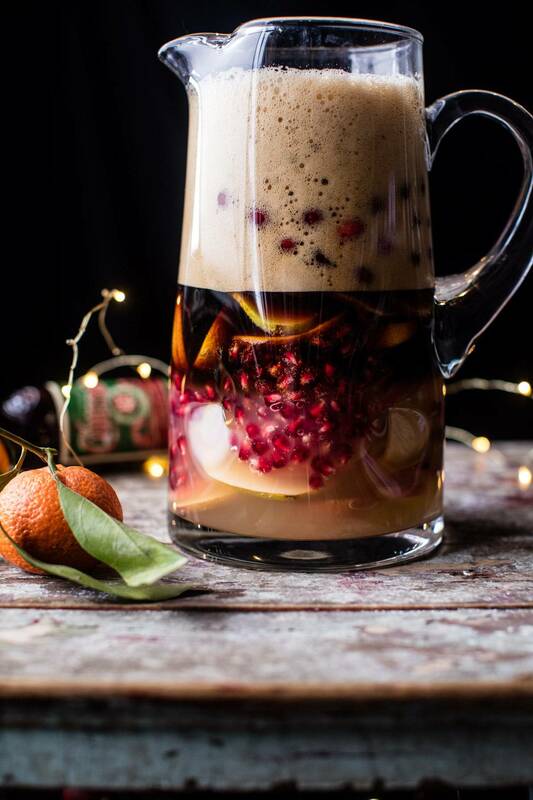 Basically, this is just a really fancy way to drink beer…which is cool cause it’s Christmas and anything goes! 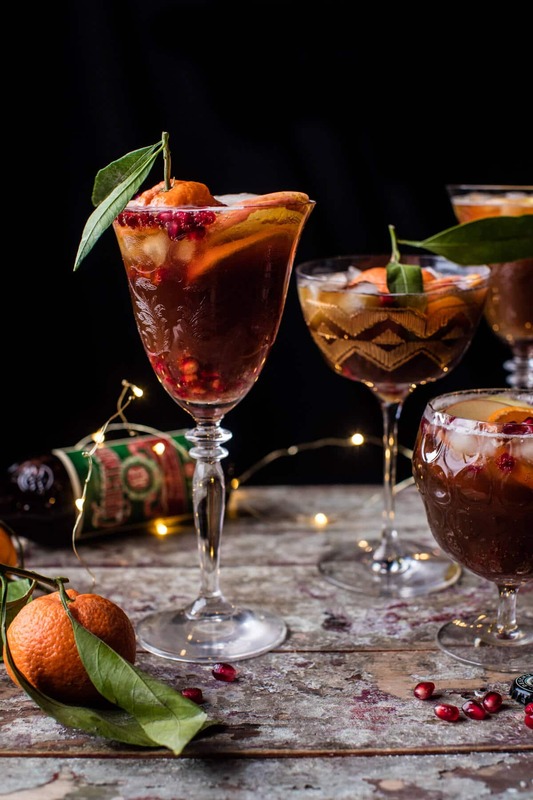 This Christmas Ale Sangria is actually nothing like a traditional sangria, but…it’s kind of the same idea. Just take a beer and mix it with fruit, a little apple cider, a little vodka, a few dashes of orange bitters and then top it off with some sparkles, if you’d like. 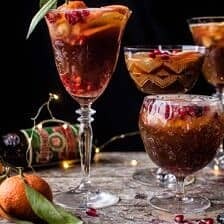 I know it sounds kind of odd, but it’s actually really good and it works really nicely with Christmas Ale since it’s a heavier beer with hints of cinnamon, ginger and honey…perfect for a sangria style drink! Since the beer is heavier, it can handle the addition of the apple cider and vodka…not to mention that all the flavors go really nicely together. Since I like a little fizz with pretty much all my drinks, I topped mine with some sparkling water, but I get it if you’re not into sparkles in your beer. Me personally…love em! Here’s the thing with this sangria. 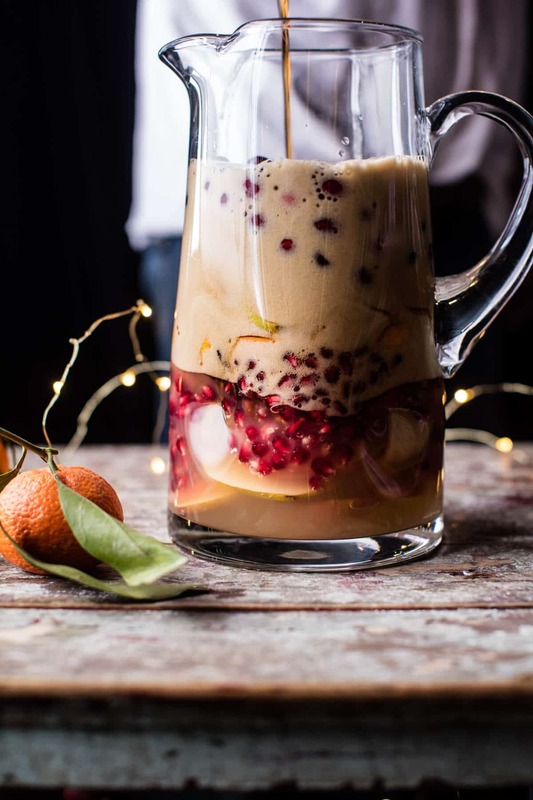 Unlike traditional sangria, you don’t want to add the beer and then let it sit in the fridge. Since beer is carbonated, you’ll need to add it just before serving. SO mix up all the other ingredients, then let them chill in the fridge and infuse the vodka a bit. Then just before serving, add the beer. See, still simple as can be! This is great for all the beer drinkers at the party or just another fun way to serve up Christmas. 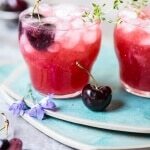 Plus, this drink is obviously delicious and super refreshing. I made this on Thursday for my cousin Abby’s arrival and it’s safe to say this drink was a hit. Oh, and seeing as I live in Colorado, I couldn’t find the Great Lakes Christmas Ale, BUT I did find some Breckenridge Brewery Christmas Ale, and I gotta say, their cute little bottles had me sold from the get-go. I mean, these are the best Christmas beer bottle I’ve ever seen. Love them! 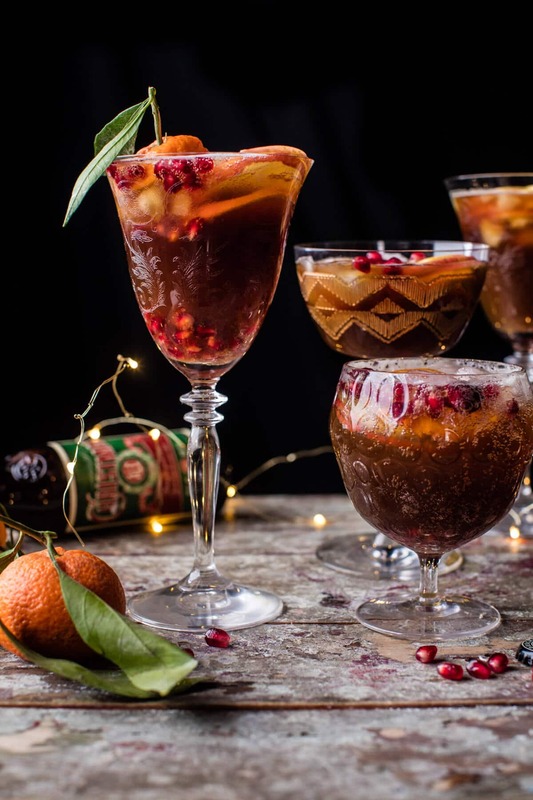 Better known as a super fancy way to drink beer...Christmas style! In a large pitcher, add the apple cider, vodka and orange bitters, stir to combine. Add the pears, oranges, pomegranate arils, and cranberries. Chill until ready to serve. Before serving, slowly pour in the beer and gently stir to combine. Pour among glasses and top with sparkling water if desired. Cheers to the holidays and family fun! When I was younger I loved sangria but I can’t drink alcohol anymore. Awh I’m sorry Nancy! It is tasty! You could try a non alcoholic! Thanks so much about the pictures!! Oh my goodness…Is it Christmas Morning yet? I will see what Ale i can find over here to make this.. Thank you seems so small for something this Magnificent. !! and thanks for the note about the photo with the reciles. Awh thank you so much Leslie!! It plenty for me!! I wish it was christmas by the way!! LOL! Way to many hours and WAY to many repeats of the recipes haha!! Totally worth it though!! Thanks Sarah! This looks SO good!!! And what a genius idea to make sangria out of beer! 🙂 Happy days! 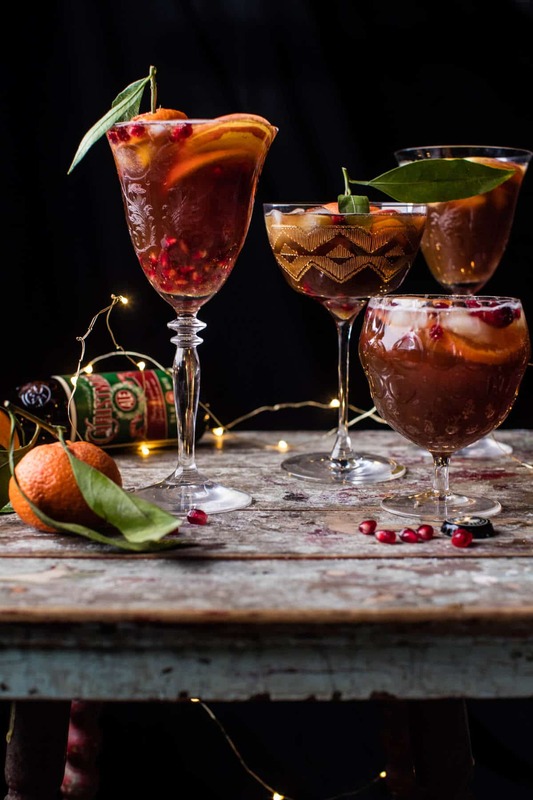 This sangria looks absolutely incredible and festive too. It’ll definitely be a hit at holiday parties! YAY!!! Thats honestly all I wanted to hear!! So thank you for being the one to tell me!! So so happy it was a hit!! Between the food you make and the beverages you mix like this I can see why so many people spend the holidays with the Gerard family! Haha! I’d like to think it is because of my cooking!! But thank you!! It means wine!! I am actually super curious how it would be!! Now that youb have me wondering I must find out!! Lol! 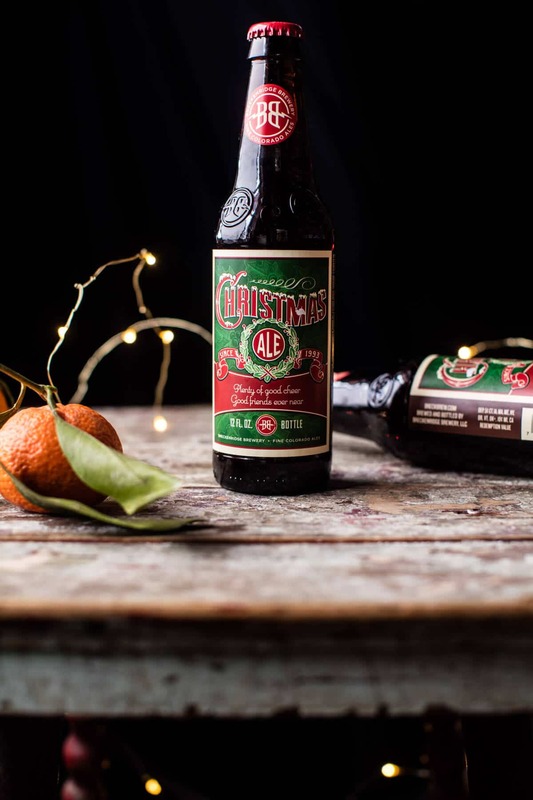 Tieghan, I’m headed home to Ohio from New Orleans in just a couple days and I can’t wait to get my hands on some Great Lakes Christmas Ale! 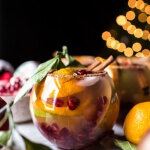 This just might have to make it on the Christmas menu! Oh my gosh!! One of the best things about going back to Ohio!! You must try it!! I hope you’ll love it!! I might leave out the vodka and use hard apple cider. Beautiful beautiful pics! 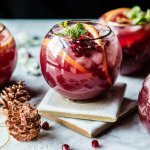 This is a different sangria and I bet it taste super delicious. As always stunning photos. my hop-head hubby will DIE over this. yay!! i can’t wait to try. Hope you both love it!! Thank you! 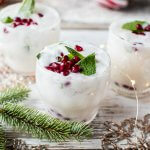 This looks delish, may have to try it with our family gathering on Christmas. With GF beer however. And as always love your food photography. Don’t you just love those darling fairy lights? I’ve gotten several sets, perfect for table top lighting to add to subtle candle lights. I hope you guys love it!! I love the lights! So fun and festive!! Thanks Caroline! These where just shot with my 50mm 1.2! 🙂 Happy Holidays! ? Wow thank you so much!! I use a 35mm, 50mm, 24-70mm, and a 100mm! Its so tasty!! Thanks Laura! In terms of the beer used, if I can not find a Christmas Ale what kind of beer would you suggest? Hi Kim! I recommend a darker beer that you love to drink. That should work great! Let me know if you have other questions. Hope you love this and Merry Christmas! Can you tellme about the Christmas Ale you have pictured? I have looked around the net and cannot find this one. Thanks in advance, BTW beautiful shots. This is local to Colorado. I recommend trying to find a local Christmas ale. If not use your favorite spice beer. Let me know if you have other questions. I live in Cleveland (Brecksville actually) and just found your blog via Instagram and holy cow does this combine a lot of loves in my life! I just made this with Sam Adam’s winter lager… I added a cup of vodka instead of a half… it was a big hit!!! That is so awesome! Thank you so much Lindsay!